COASTAL FOREST PARADISE ON 4.89 IMPECCABLE ACRES ~ Prime Beach Loop Wind Protected Locale LESS THAN 1 MILE TO THE BEACH. 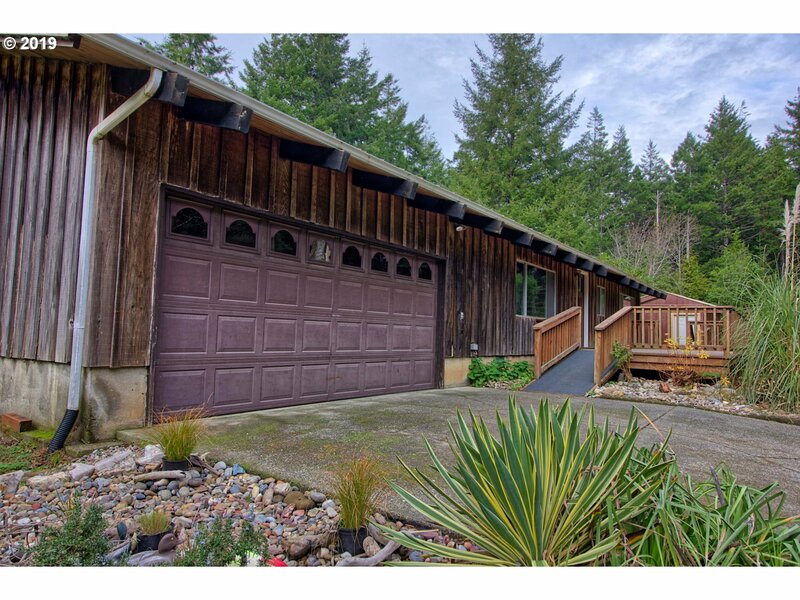 STOUT 3 Bedroom 2 Bath Home Boasts A Solid Wood Interior, Vaulted T&G Ceilings, Large Beams, Cozy Woodstove, Metal Roof & Expansive Decking. Pristine Nature Trails, Fruit Tree Orchard & Garden Areas. Pull-Thru 3 Bay Shop, Pumphouse & Tool Shed. Possibly Divisible For 2nd Homesite. Owner May Finance A Qualified Buyer. Courtesy of Gold Coast Properties, Inc. Copyright © 2019 RMLS. All rights reserved. Information deemed to be reliable but not guaranteed and should be independently verified. The data relating to real estate for sale on this website comes in part from the Internet Data Exchange Program of the RMLS™ of Portland, Oregon. Real estate listings held by brokerage firms other than Agate Realty are marked with the IDX logo and detailed information about them includes the name of the listing brokers. Listing broker has attempted to offer accurate data, but buyers are advised to confirm all items. Information last updated on 2019-04-18 03:35:38. Some properties which appear for sale on this website may subsequently have sold or may no longer be available..